MANILA—Kai Sotto has finally made his decision. 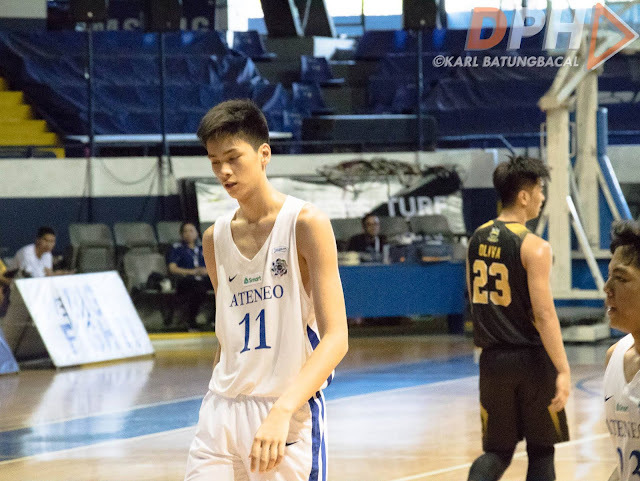 The towering seven-foot-two youngsters announced on Monday that he will forego his last two years at Ateneo De Manila High School as he sets his sights on the 2021 National Basketball Association Draft. "I want to devote the next two or three years to single-mindedly focus on my goal of joining the NBA by 2021 or 2022," Sotto said via his social media accounts. But while he remained mum on whether he will go to Spain or Germany as earlier reported, the reigning University Athletic Association of the Philippines Most Valuable Player confirmed that he will leave the Philippines. "I'll be leaving soon to start training full-time," Sotto added. "I strongly feel (with his [father Ervin] advice and the advice of other experienced mentors) that leaving immediately to start my training and getting the right exposure will go a long way to help realize my dream." He then vowed that this will be for the country's pride. "Para po ito sa future ko, ng pamilya ko, at especially po, para sa Batang Gilas, Gilas, at higit sa lahat, para sa bayan," Sotto quipped.